This is a 3 piece set with 2 boxes and 1 envelope holder. 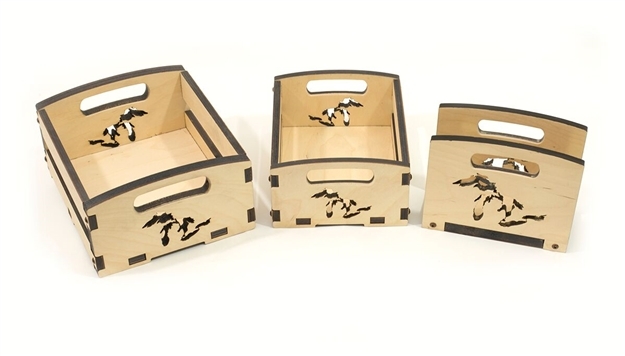 The boxes nest together and have the outline of the great lakes laser cut out of 2 sides. This set is great in the office or home.